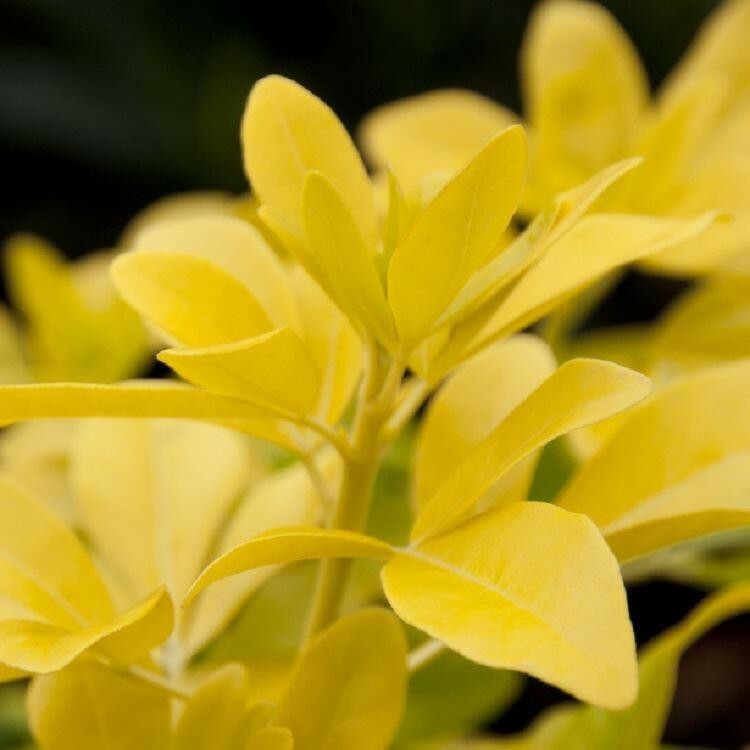 A favourite low maintenance shrub, this really stands out in the garden, thanks to its bright yellow foliage. 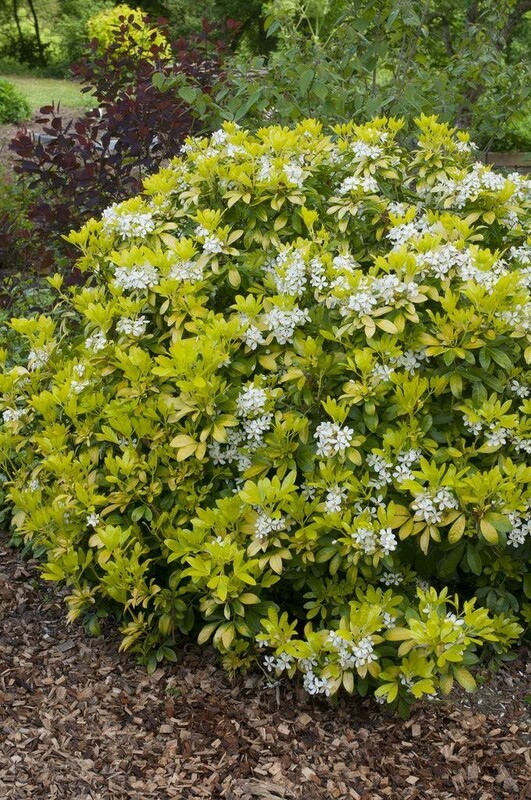 Produces a show of fragrant white flowers in early summer and sometimes again in autumn too. 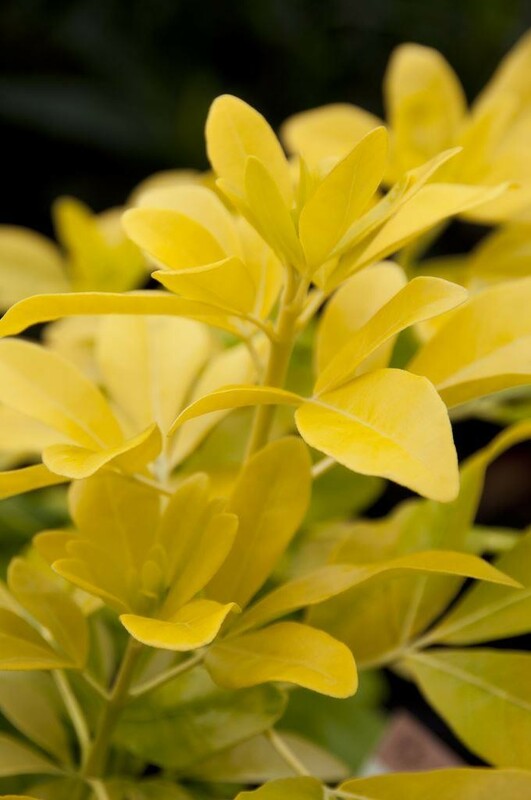 Being evergreen, its particularly suited for use in winter patio planters, try it with contrasting Leucothe. 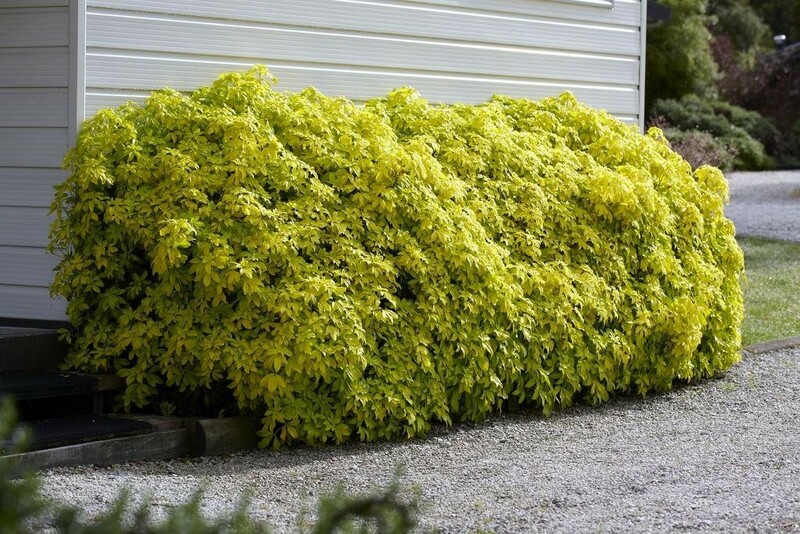 Bushy plants, in approx 2 litre containers.